Sometimes the entryway is a neglected space in our homes, but it shouldn't be. We give more importance to our living room and family room because we're thinking of our friends coming over and we want to host them in a comfy space, right? But what about the first impression right when you open the door for them? Is your entryway welcoming? Does it reflect your good taste and lifestyle? 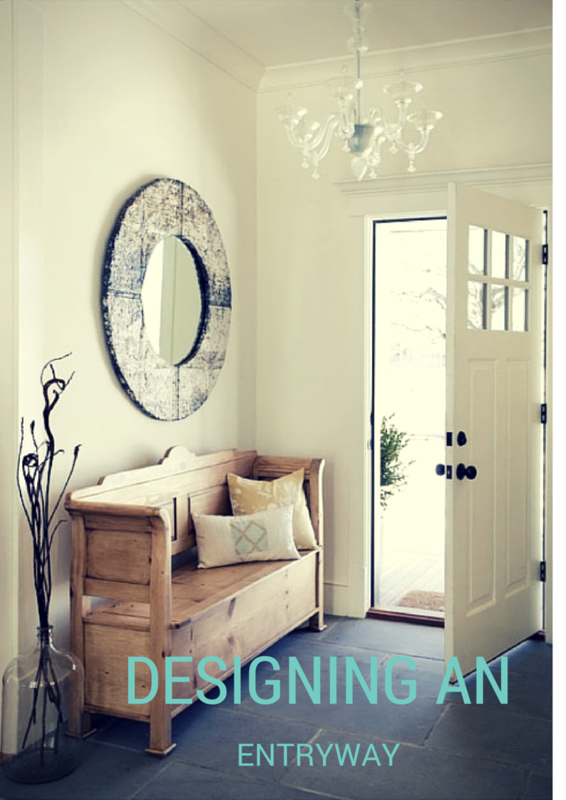 Do you love your entryway? No matter how small or spacious your entryway is, it has to be cared for. First thing that we should to consider decorating our entryway is the use of the color. The color palette should be impressive, bold, and should say something. This year Pantone choose Marsala as the color of 2015 and I choose the palette that come with it for this design concept. It is a bold hue and it should be used within a palette as you see in the image using in two walls, leaving the third wall for a neutral wallpaper to avoid an overwhelming sensation. Pale greens and gray beside a metallic finish are the perfect pairs adding the warm orange or coral. Show off the things in your life that you love. Things like art and family & pet photos. Don’t forget accessories that fit the color palette. For the floor that is used in this area, the best thing is to install some finishing material that is different from the rest of the house to give personality. You can also use a low-maintenance area rug that follows the whole style. And finally, light. Use a wonderful pendant or chandelier (the best that you can buy). I'm Silvia from SilK Decor Studio and I'm an interior designer. My approach to you is clear and far away from worthlessness sophistication in the belief that you need and deserve a handsome place to be sheltered, where the luxury be the things that you love and will fill your home with lasting memories. My mission is to delivery my expertise and creativity pursuing that statement helping you to achieve the best decorated space designed following your needs and reflecting your life style.